I wish I had seen this full set of Sesame Street Envirosax before last week. 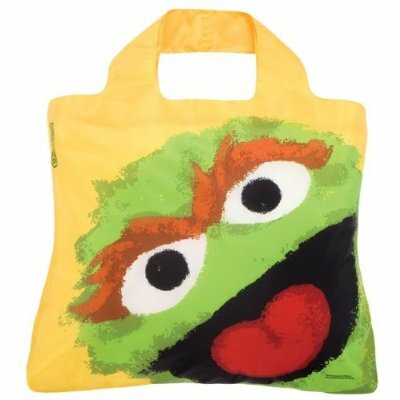 I bought the Oscar bag and I love it. It's huge and holds a ton of stuff. Plus it makes me smile. And, according to the official Sesame Street Twitter-stream, today is Oscar's birthday! I just bought a set of them from your link. I hope you get 'commission'. Way too adorable for words. I justified by saying I'll use them for gifts, but realisticly, I'm not going to be willing to part with any of them. Too adorable.